Beginning with the early settlement of the city, it covered centuries of expansion and development through the eyes of fictional families interwoven with historical figures.The novel described the wilderness that was then called Manna-hata, "island of many hills" by the indigenous Lenape people. The development of commerce and northward ho of the population intrigued me less than the descriptions of Manhattan au naturel, if you will. Hills, yes. But also ponds, streams, springs, salt marshes, forests, wetlands and, from the tip of Manhattan through Harlem, oak trees in tremendous density and prodigious wildlife – turkey, elk, black bear, wolves, harbor seals, deer, ducks and beavers. The latter were killed on such a vast scale in early New York that the population was decimated, although its abundance is commemorated on the seal of the former City of New Amsterdam with two beavers. In 2007, to the astonishment of everyone, including the hard-working people who have been cleaning up the Bronx River since the 1970s, a beaver was discovered to have built its lodge by a river bank near the Bronx Zoo. Jose, as he became known, was the first beaver seen in New York City in more than 200 years. 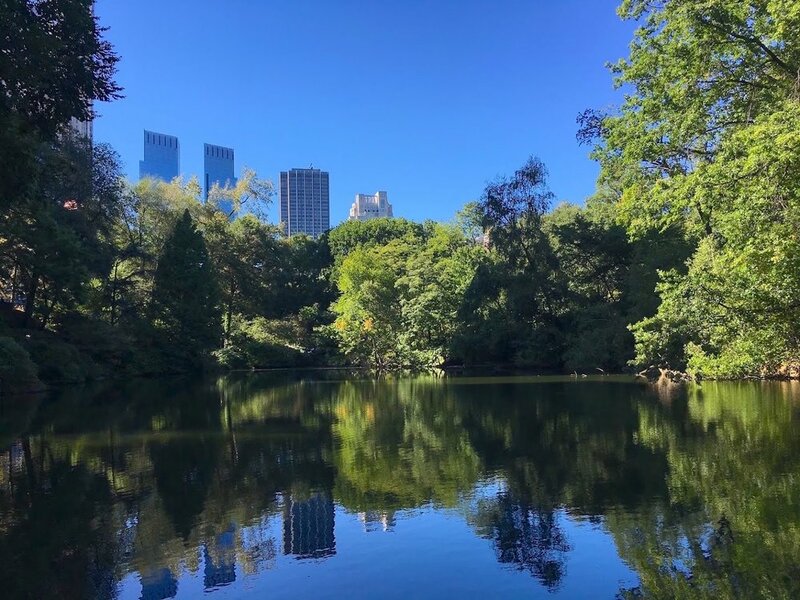 With all due respect to Jose and his now companion, Justin (after Bieber; I kid you not) this post brings attention to the remarkable healthy effects of Central Park on the city and its people. The original creators of Central Park, Frederick Law Olmsted and Calvert Vaux, understood that this immense, gated park would be a form of escape, mentally and physically from the relentless urbanization of the island, a place of serenity and healthy endeavors for the city’s occupants, and stand as a symbol of civility. They were right on all counts in 1858 when they presented their plan, 159 years ago. Olmstead and Vaux beat out two dozen competitors to secure the commission, construction cost a staggering 7 million dollars and employed over 20,000 laborers, stone masons and gardeners. Blasting the bedrock required more gunpowder than the battle of Gettysburg. 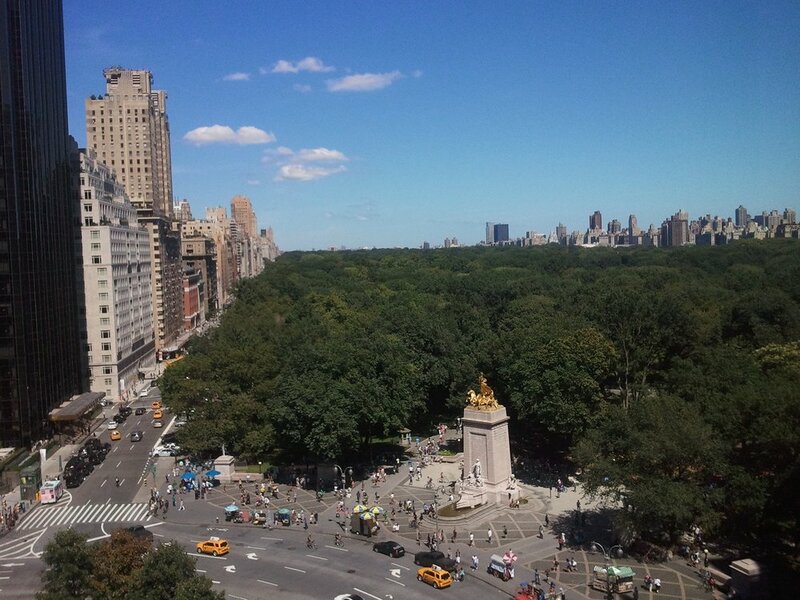 The park truly is the 39 million square feet green lung of the city. More than 25,000 trees pump oxygen and absorb hundreds of metric tons of air pollutants. Large trees keep the city cooler by evaporation and providing shade, mitigating the heat island effect caused by glass and concrete landscapes. Trees and shrubbery play a significant role in storm water management, saves provides outdoor access for healthy exercise, as well as solitude; and is a thriving habitat for a range of wildlife. Bird watchers are drawn to the park from all over the world. New York City is a stopover of Over 280 species have been recorded, including hawks, Peregine falcons, egrets, kingfishers, orioles, warblers, owls, turkey vultures and the occasional bald eagle. The park is home to 8 species of bats, numerous species of turtles, possums, the ever popular raccoons and a range of thriving wildlife. Parks make cities more livable. 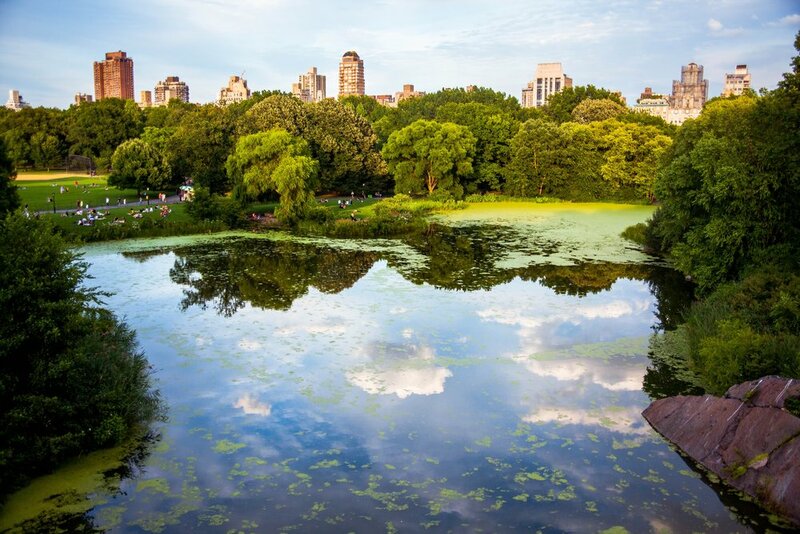 Central Park with its carefully curated beauty and teeming biodiversity is a welcome escape from the hustle and bustle of urban life.